Are you stuck in a dinner rut? Has your family had chicken for dinner one too many times this week? 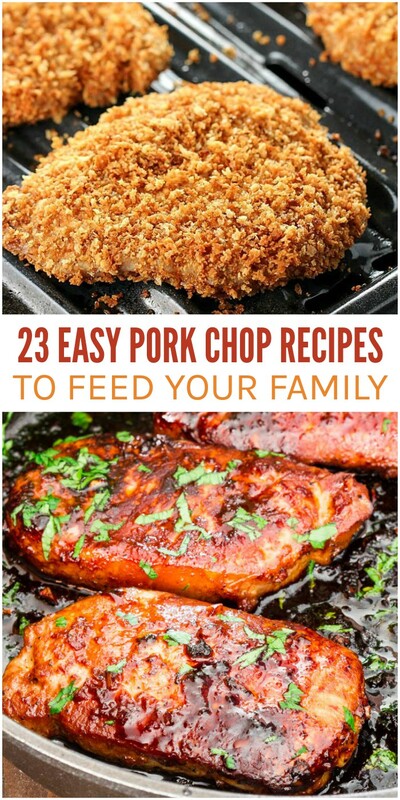 Try one of these easy pork chop recipes instead. You’ll find something for everyone in your family – from crunchy, breaded pork chops to chops smothered in delicious sauces. 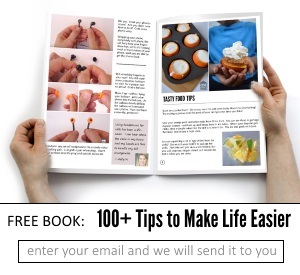 You’ll never get bored with these ideas on hand! 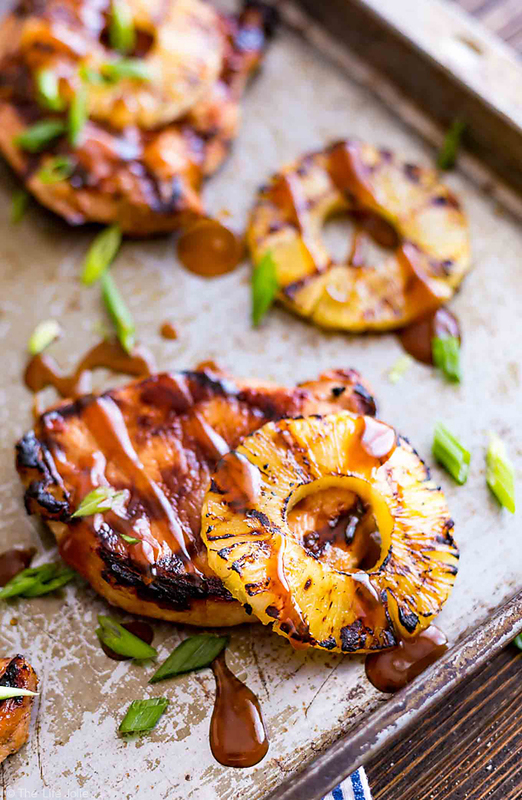 Grilled Hawaiian Pork Chops are the perfect summer meal! The combination of sweet and savory is a real winner! 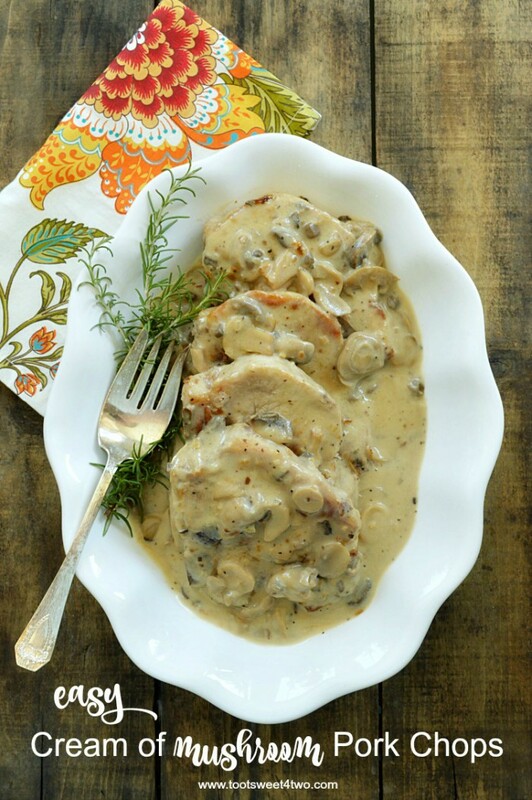 Pair these easy Cream of Mushroom Pork Chops with a salad and you’re all set for dinner. 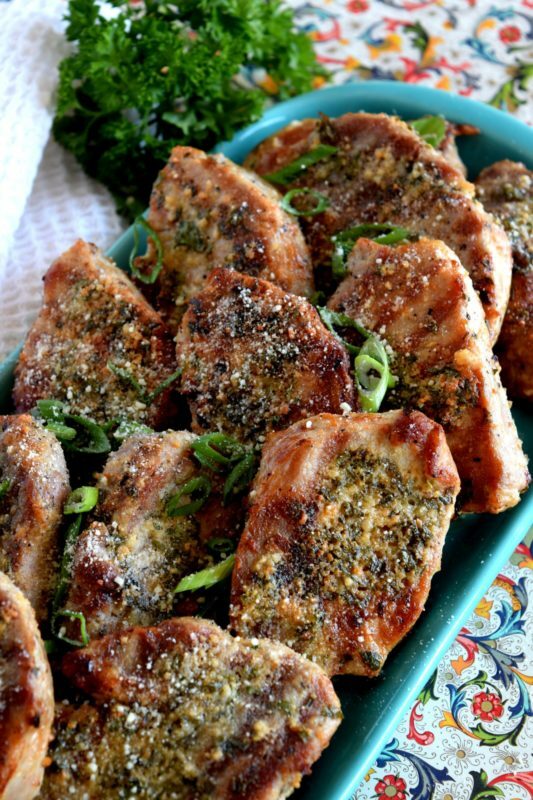 Korean Style Pork Chops will melt in your mouth! The meat is so juicy, tender and full of flavor after marinating in this amazing sauce. 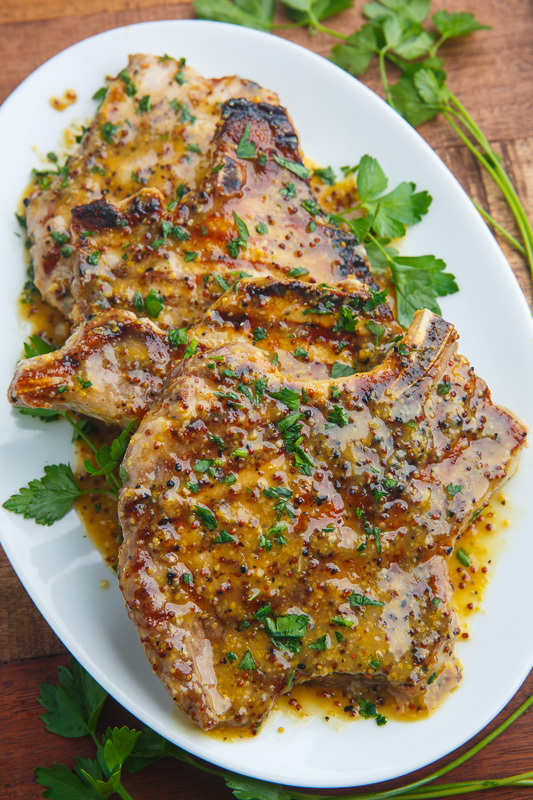 Or marinate in a honey mustard sauce and toss them on the grill to make these delish Honey Mustard Grilled Pork Chops. 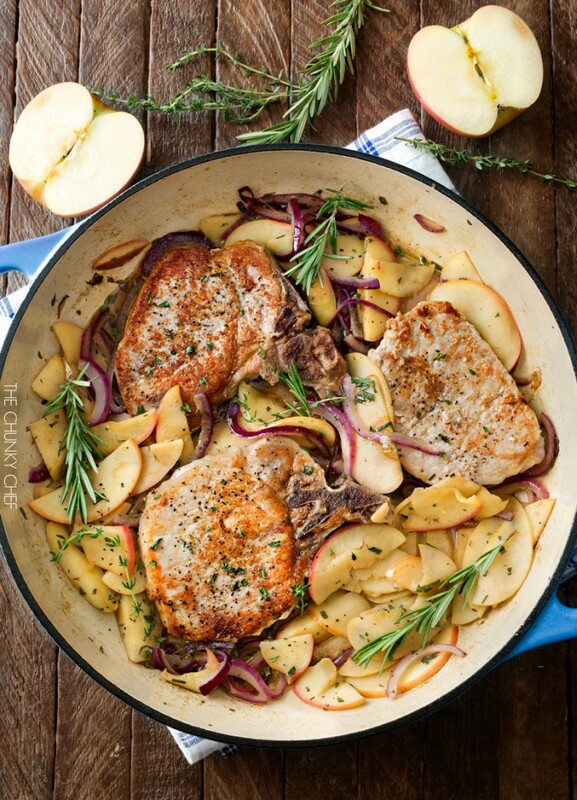 For a light and flavorful pork dish, try this One Pan Pork Chops with Apples and Onions. It’s healthy and hearty! 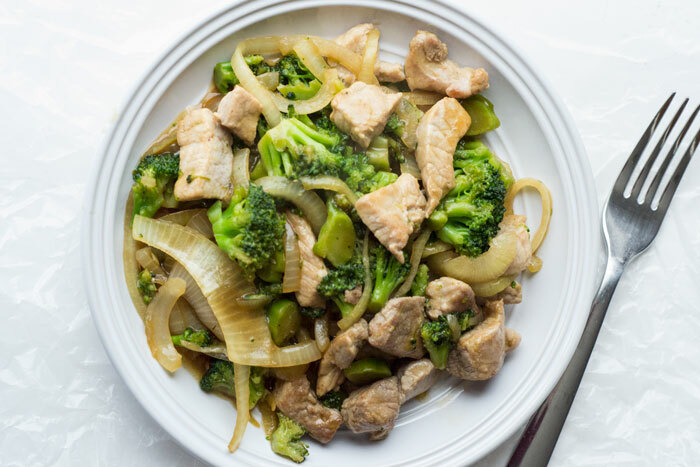 This pork and broccoli stir fry is a simple meal you can prepare in less than 30 minutes. You can easily substitute other veggies or even use chicken or beef in place of the pork. 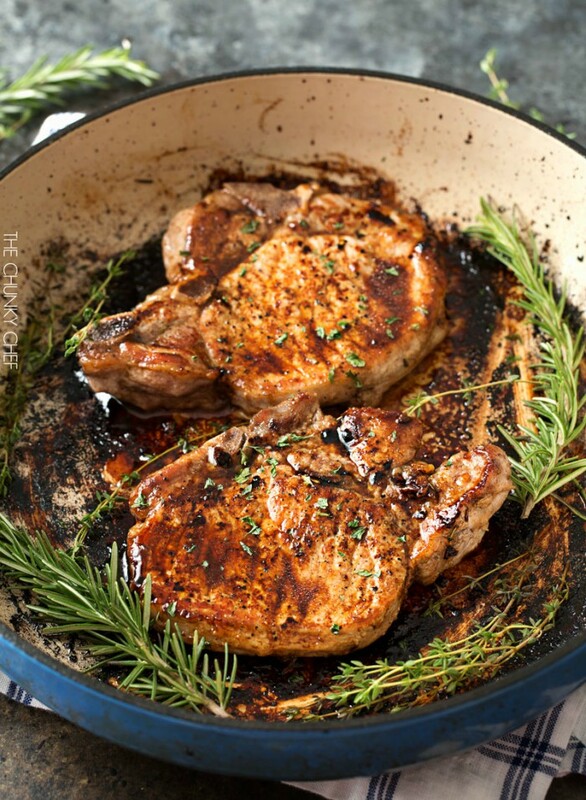 Brown Sugar Pork Chops are topped with a sweet brown sugar sauce that’s balanced out by garlic and dried herbs for another winning savory and sweet combo. 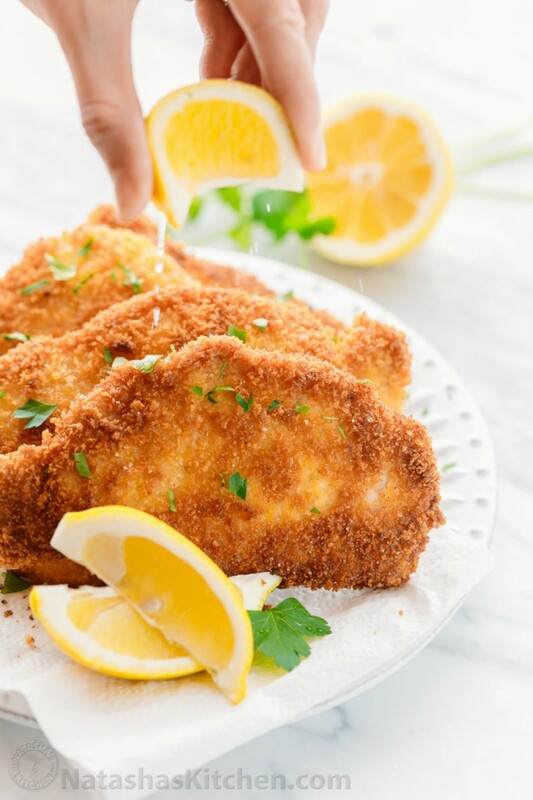 Breaded pork chops make great comfort food, but these Parmesan Crusted Pork Chops are out of this world. 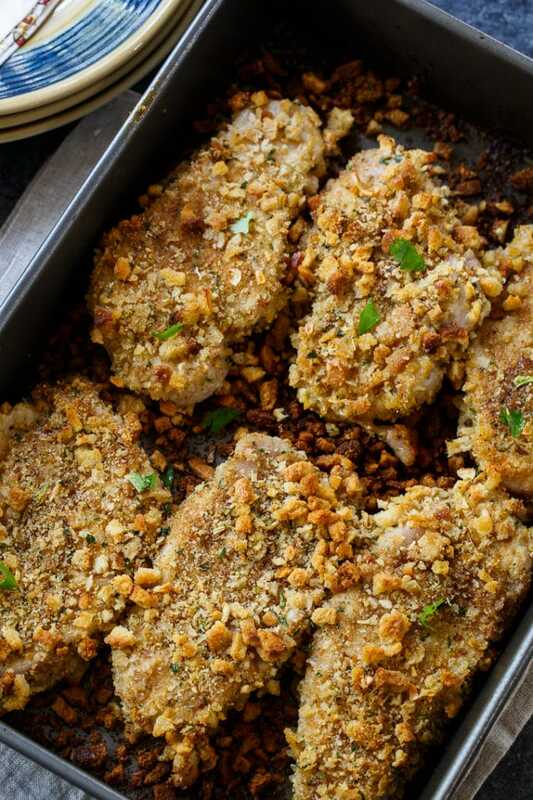 And if you’re low carbing, you can skip the breadcrumbs and just use parmesan and herbs to crust your pork chops. It’s delicious either way. 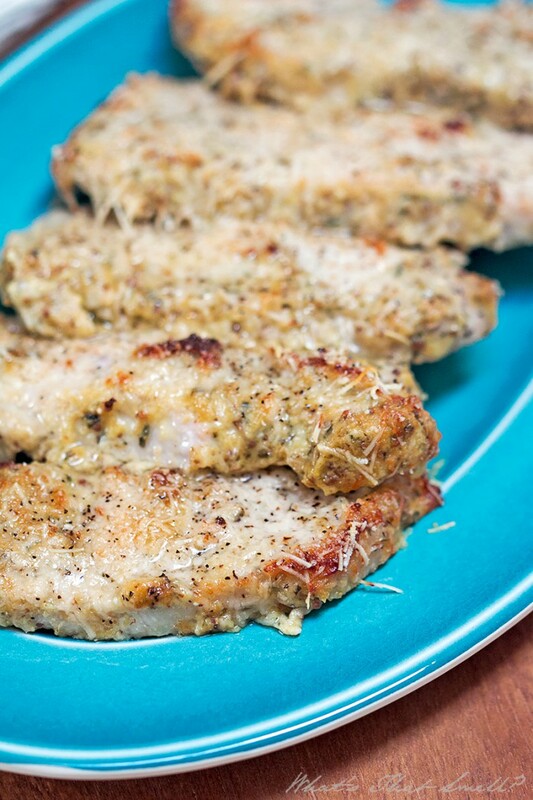 Here’s another carb-conscious option: Low Carb Parmesan Dijon Pork Chops. 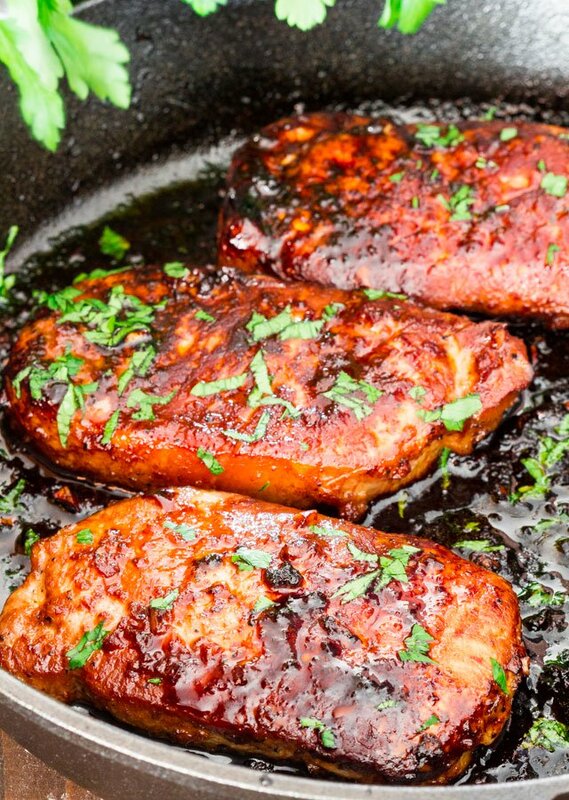 You won’t be able to get enough of the sauce that coats these Maple Balsamic Glazed Pork Chops. It’s finger-licking good! 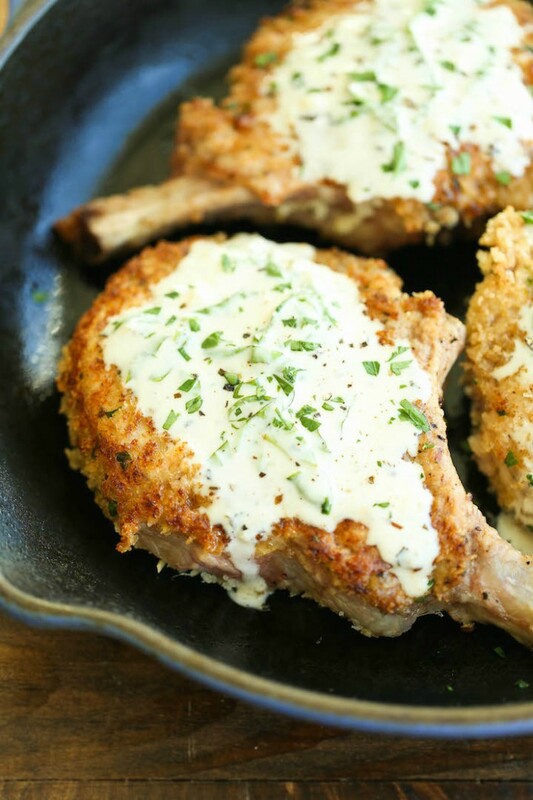 You probably have all the ingredients you need on hand to make these tasty and rustic Garlicky Butter Chive Parmesan Pork Chops. 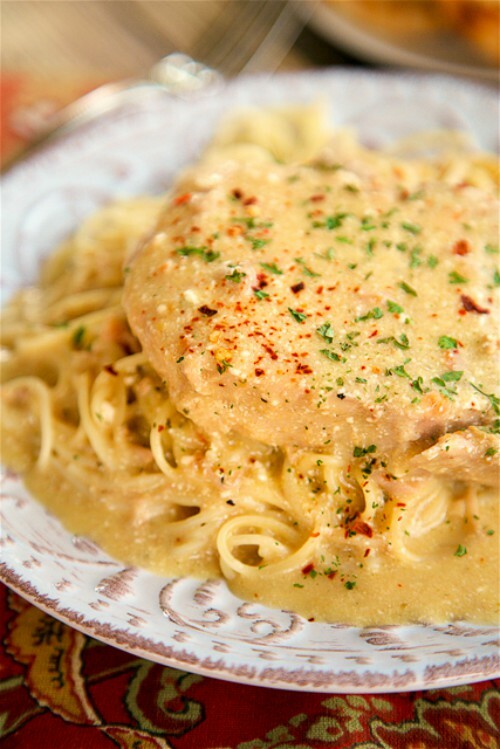 Slow Cooker Angel Pork Chops will be a big hit in your house! Slow cooking the chops makes them super tender, and the sauce is absolutely full of flavor. These chops are perfect over pasta. 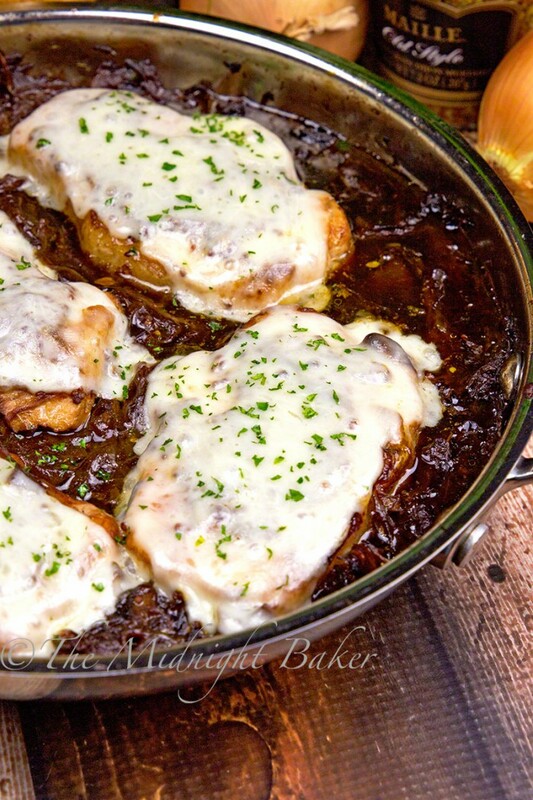 Tell me these French Onion Soup Pork Chops aren’t totally tempting! Cheese-topped pork chops are smothered in a French onion soup sauce, making them the perfect dish to serve to company or your family on a busy weeknight. 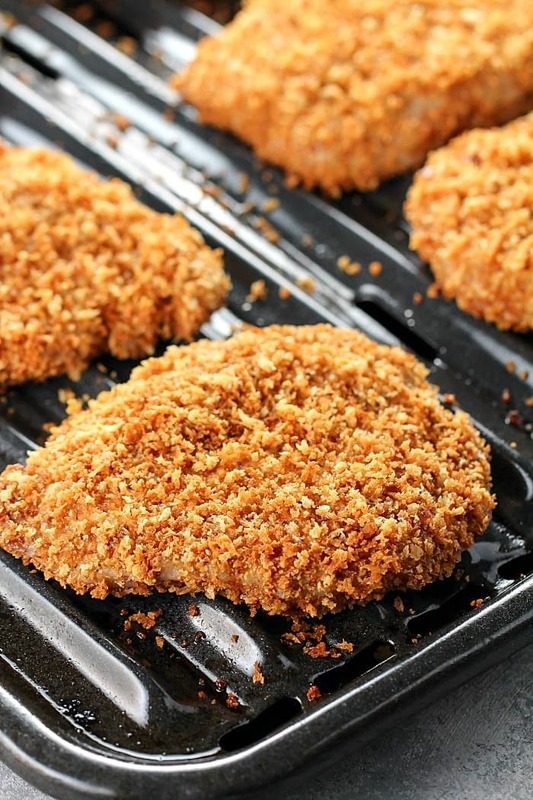 With only four ingredients, this Crispy Baked Breaded Pork Chops meal will be ready to serve your family in about 30 minutes. 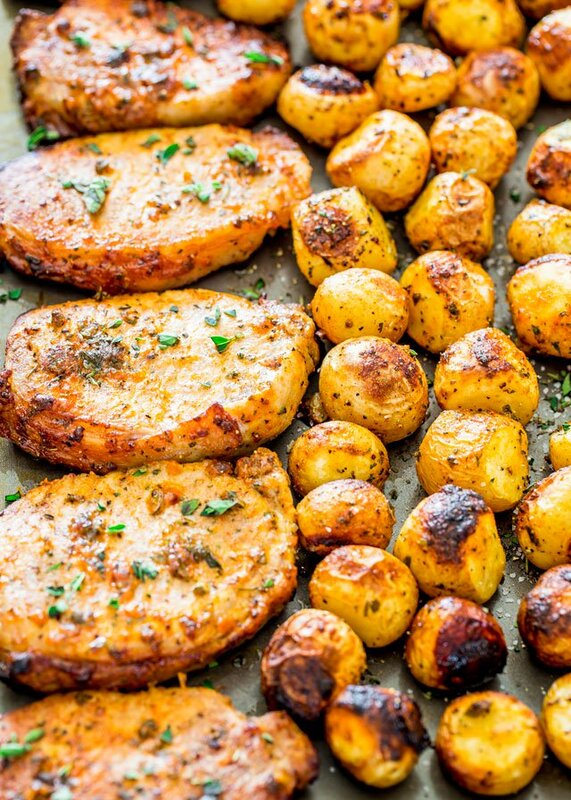 This Ranch Pork Chops and Potatoes Sheet Pan Dinner is an easy way to feed your family fast. 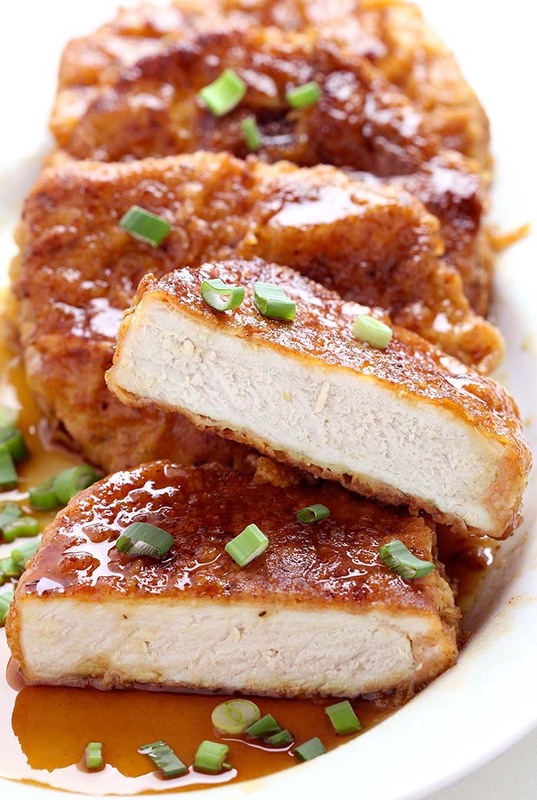 These Honey Garlic Pork Chops are crunchy and coated in a sticky honey garlic sauce you won’t be able to get enough of. 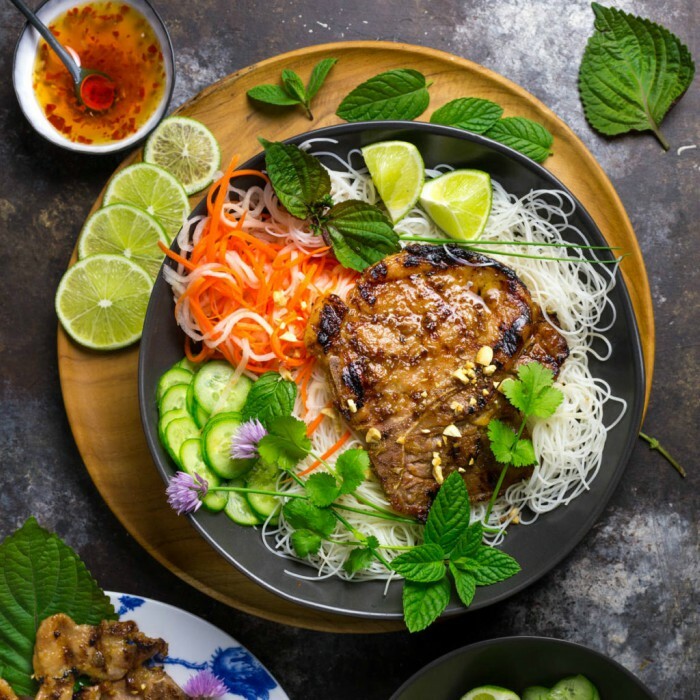 Vietnamese Grilled Pork Chops are best served with cold rice noodles, tasty herbs and lots of pickled vegetables. 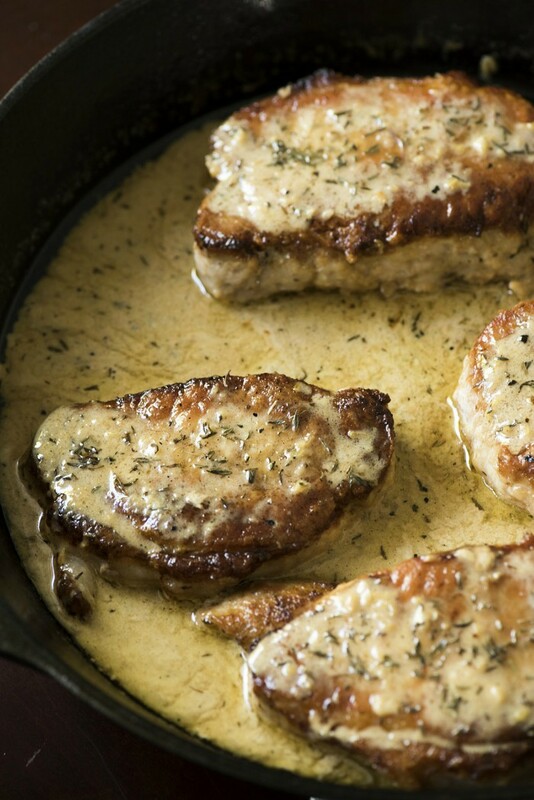 For another 30-minute meal, try these Pork Chops with Lemon Basil Cream Sauce. They’re divine! What is Pork Schnitzel? 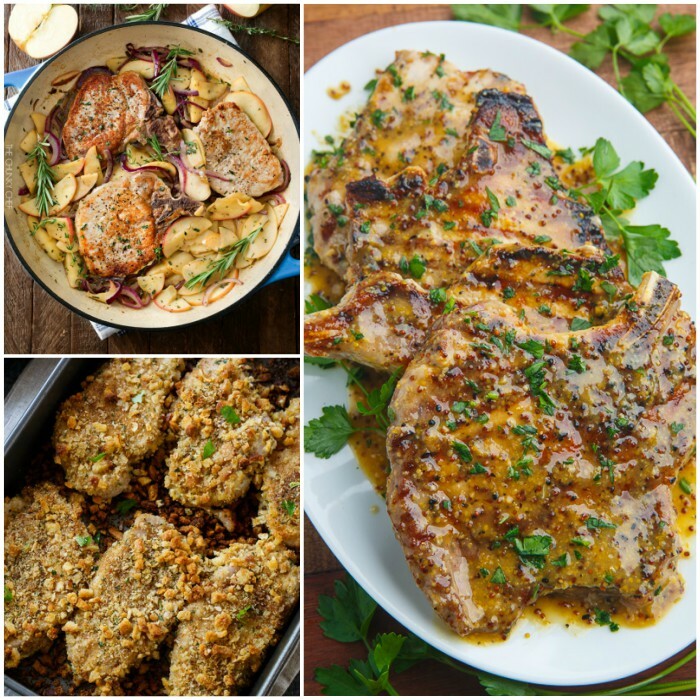 Pork chops are pounded into thin cutlets, breaded, sauteed and served with lemon wedges. 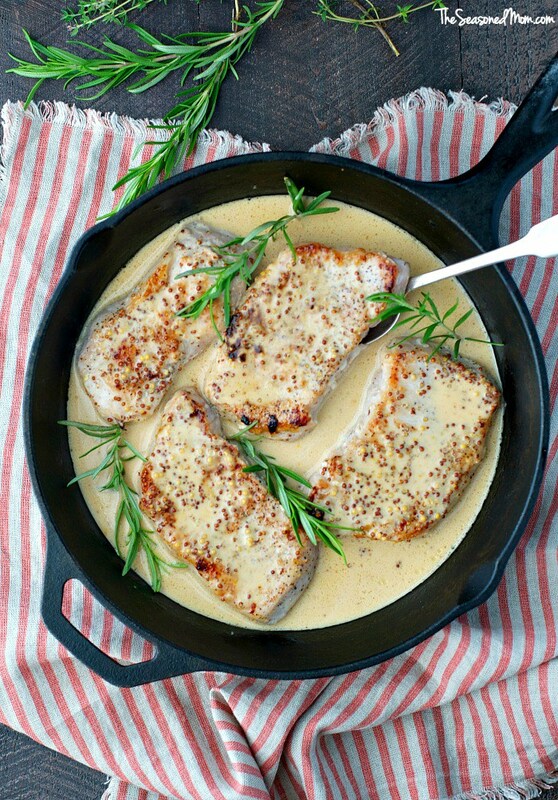 If you find yourself in a chicken rut (I know we often do), try Lemon Thyme Pork Chops for a change of pace. Bacon Swiss Pork Chops will be a quick family favorite! 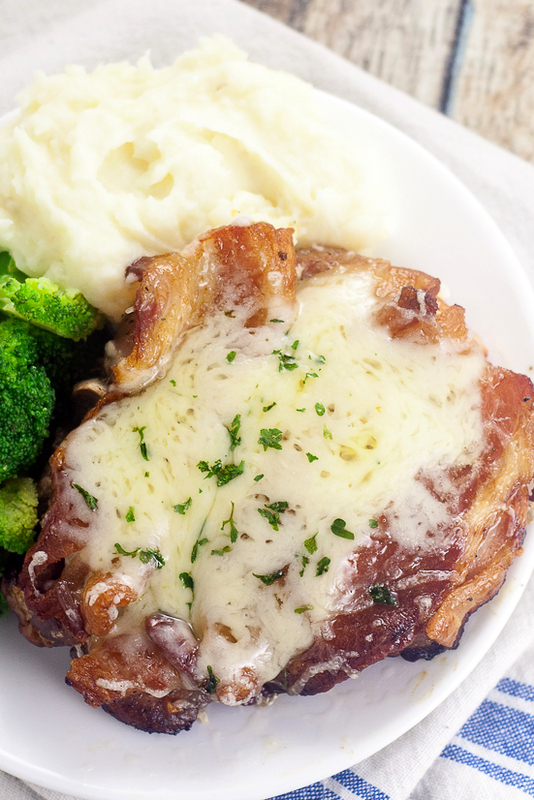 Juicy chops topped with bacon and cheese… what’s not to like? 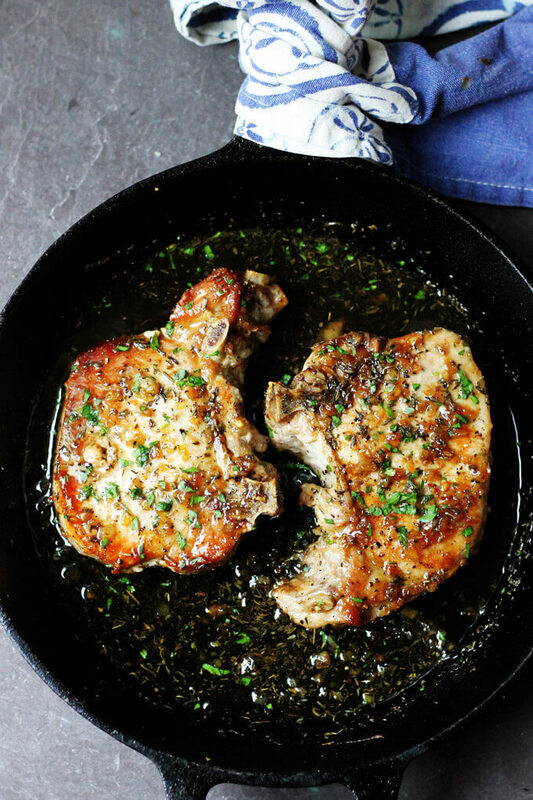 Make sure you have lots of crusty bread to soak up the sauce on these Cider Dijon Pork Chops. 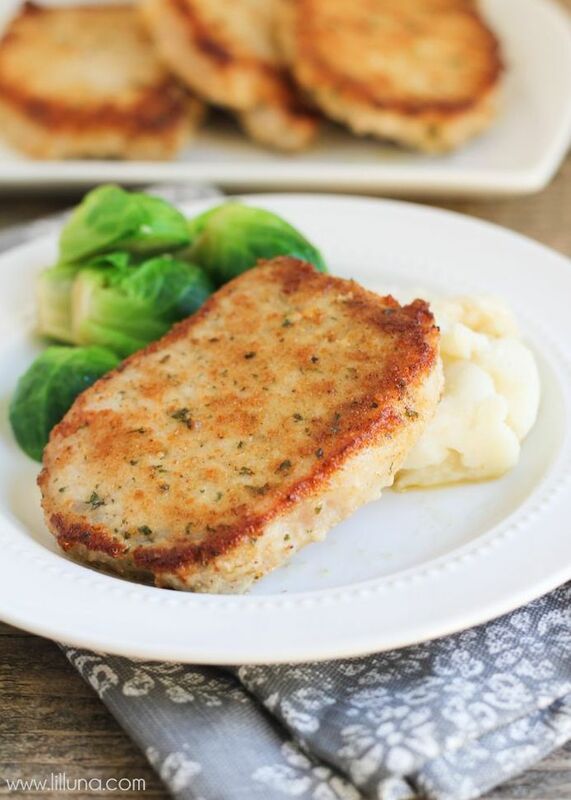 Stuffing-Coated Pork Chops are a nice alternative to a traditional holiday meal. You get the tasty stuffing without all the fussy turkey!